Being interviewed for a job? Meeting a new client? Have to talk to a teen? 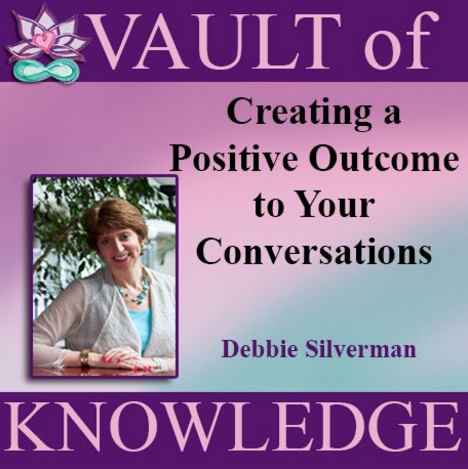 Debbie Silverman explores how to get a positive outcome from the conversations you are having. With her FOCUS method and clarity of goals, she will give you the formula you need so that you will be confident, calm and clear on what you want before the conversation begins. These skills will enable you to connect in a meaningful way and convert others to your way of thinking.